Considering a low rise or brownstone styled loft condo here in town? 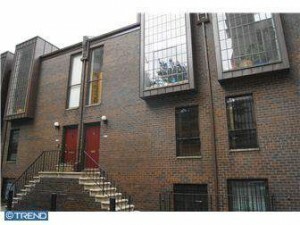 Brownstone styled condos are an option in Center City that I find are becoming more popular for many Philadelphia condo shoppers. Known for their low condo fees, and some really groovy features, low rise condos have shown to have good resale over time, and often show up in some of the strongest residential locations in Center City. 1) Roberts Quay: 1035 Spruce – 18 units, a huge variety of layouts, and probably the most handsome building in 19107. Sits on the NE corner of 11th and Spruce. 3) 251 S. 24th St: A very rare loft styled new Center City condo building in Filter Square that few have heard of/know of/have seen. Garage parking, huge windows, and sits in a quiet pocket of Filter Square. High end contemporary finishes throughout each unit. 5) St. James Court: Hidden between 5th/6th Street, Locust and Walnut sits this enclave of “uppers and lowers”. Rental parking next door at Indep. Place. Great space, quiet location, handsome exteriors, outside space for every unit, and two story living rooms. A great track record of resales / value retention over the past dozen years. And if you think the Center City Real Estate community doesn’t have its own clique- then you would be incorrect. Some Center City Condo listings get more traffic than others just due to their basic popularity. Being cooperative, flexible, playing by the rules, etc., all have their benefits. I have heard repeatedly that agents will avoid certain listings because they don’t want to work with this or that agent for the next two to three months of their lives. I get it. I am not saying I condone such behavior, but I do understand it. I too do not want to deal with someone who is not going to return my phone calls, has a reputation of being a pain to deal with, or maybe even known to be a hint evasive or is just someone who is known for not being able to help carry a deal to closing because they haven’t (say) been honest with their clients. Or just plain aloof. And being “In with the In crowd” gives me access to properties that less popular agents can’t arrange. I am in the clique, you see 🙂 And I sell a lot of Philadelphia condos….so I may get a hint more wiggle room for weekend appointments, or last minute appointments. Or just get waltzed right past the doorman when I walk into a building. Listen, I get it. The visual appeal and the emotional punch that rides on the back of a gorgeous Center City condo can be overwhelmingly attractive. But many buyers are sometimes disheartened when they buy a condo, then go back for the final walk through on the day of settlement and the initial emotional attraction has left the condo along with the owners belongings. 3) A Super duper thorough cleaning can really bring a lifeless condo back to life. 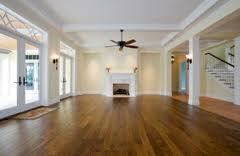 Including window cleaning, tile and grout cleaning and carpet cleaning. Stanley Steamer does tile cleaning as well as carpet, and the impact is huge. Like having new tile installed- at a fraction of the cost. 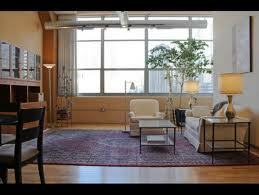 4) And if you are thinking of a few new furniture pieces but don’t have a huge bankroll to deck out the entire condo, try PhillyBusyBee.com where they sell somewhat used model furniture that may have been used in a past life to stage a property- so kinda’ used, but not really.